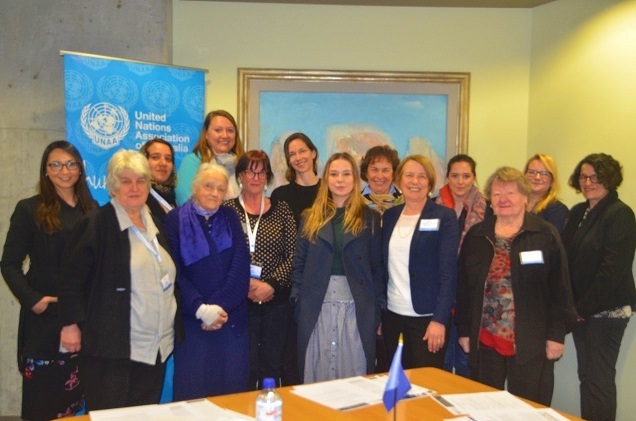 Caption: UNAA Status of Women Roundtable, Canberra, September 2017. Credit: Narelle Byrne. supports research and advocacy work on matters such as gender equality, and priority issues on the UN agenda as well as Australia’s progress in these areas. encourages liaison between government, researchers and member-based organizations CSOs/NGOs, especially those with ECOSOC status. In 2017, long-time SOWC organiser Sheila Byard OAM was inducted into the Victorian Honour Roll for Women. Click here to read about Sheila’s fantastic contribution to Victorian society and women.